Isis has announced it is changing its name to Softcard. The Verizon, T-Mobile, and AT&T supported, American mobile wallet platform, is rebranding in an effort to avoid the possibility of being wrongly associated with the Islamic militant group ISIS (Islamic State of Iraq and Syria), which has been involved in the deaths of Americans and citizens of other nations, including the recent public execution of American journalist, James Foley. The change will take place in “a few weeks” according to the company’s homepage. The CEO of Isis, Michael Abbott, explained in a note regarding the change that “However coincidental, we have no desire to share a name with this group and our hearts go out to those affected by this violence.” Abbott also added that only the name is changing, but everything else about the mobile wallet app will remain the same. 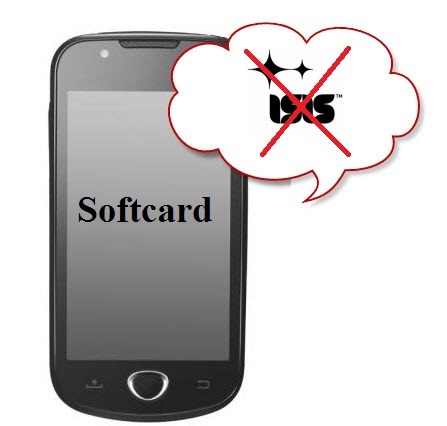 In the next few weeks, the Softcard app will be launched. Once it has been released, users of the portable payment system can update it as they usually would and once they do, their Isis Wallet will simply become SoftCard. Users can still expect the same services and features they are used to that enable them to securely store their financial information and make in-store purchases with a tap of their smartphones. “Your current Isis Wallet will continue to work as it always has,” Abbott says. Isis – soon to be Softcard – isn’t the only mobile wallet making news. Amazon is one of the most recent companies to enter the mobile payments market with Amazon Wallet. However, at present, that app only stores reward and gift cards which can be scanned during purchasing. In addition, the Isis mobile wallet name change announcement occurred almost a week prior to Apple unveiling details regarding its mobile payments service, Apple Pay, which was revealed by the company on September 9. Apple’s new payment system also uses NFC technology and will only be available on its new smartphones the iPhone 6 and the iPhone 6 Plus. Apple has unveiled its latest gadgets, which include new smartphones and a smartwatch. The innovative electronics giant finally put rumors of it possibly announcing its very first smartwatch to rest on Tuesday, September 9 when it officially revealed its Apple Watch to an eager audience that filled the Flint Center in California and to millions of digital viewers around the world. 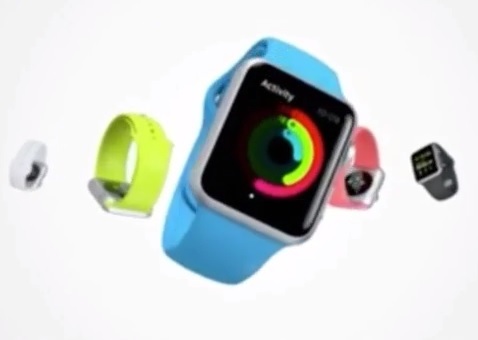 The new watch from Apple will be available in three styles. There will be the standard Apple Watch, the 18k gold Watch Edition and the Watch Sport, which has been designed to be extra durable and light. The device will also have two different face sizes (1.5 inches and 1.65 inches). The two different sizes make Apple’s smartwatch unique from what is currently available on the market, as it allows consumers to choose a watch face that will be better suited to their wrist size. In addition, consumers can choose from a variety of watch straps that differ in color and texture, which helps to make the watch even more customizable. However, beyond its aesthetic aspects and appeal, the wearable device features what the company calls a “digital crown”. This is a small dial on the side of the watch through which much of the interaction with the smartwatch occurs. The digital crown enables the user to control certain functions on the screen so that they are not blocking their view of the display as they interact with the watch. For instance, users can use this feature to zoom in and out of a map. Among other features, the watch also has fitness and health tracking capabilities. In addition to the Apple Watch, the iPhone 6 and iPhone 6 Plus were unveiled. The two new iPhones are larger (iPhone 6 has a 4.7 inch screen and iPhone 6 Plus has a 5.5 inch screen) and faster than Apple’s previous models and will have longer battery life. The camera has been improved, and users will be able to enjoy a horizontal view of the home screen. The iPhone 6 Plus screen resolution will be the sharpest of any iPhone previously released with 401 pixels per inch instead of 326. Other features of the phones include the barometer, a new sensor that approximates not only how far a user has run or walked, but also how many stairs they’ve climbed. In addition, both phones will be equipped with Apple Pay, the company’s new mobile payments system. The new iPhones are set to begin shipping in the U.S. on September 19. The starting price for the iPhone 6 is $199 (for 16 GB with a two year contract). Prices go up from there with the iPhone 6 Plus costing $100 extra on top of the iPhone 6 prices. The Apple Watch is compatible with the new iPhones, as well as the iPhone 5, 5s and 5c. The starting price for the watch is $349.00 and will be made available for purchase in early 2015.